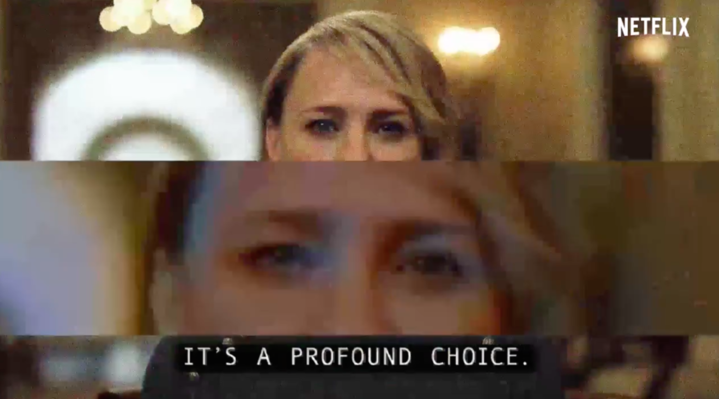 House of Cards has a knack for being cryptic, so it’s unsurprising that the political drama is bringing the mystery once again in a Season 5 teaser featuring Claire Underwood (Robin Wright), First Lady and vice presidential nominee. 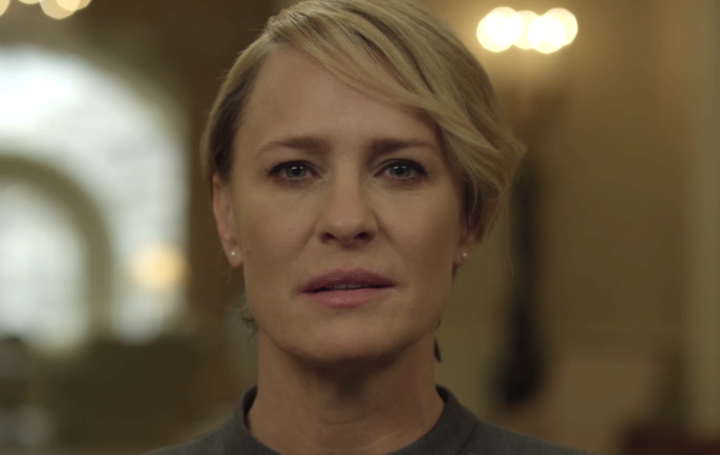 The teaser shows Claire — taking a cue from her husband, President Frank Underwood (Kevin Spacey) — breaking the fourth wall and speaking directly to the American people about safety, the media, and the impending election. "I've been meaning to talk with you," she begins. "It's terrifying, isn't it? The President and I have a simple request: Tell us what you see. If anything in your environment strikes you as a bit odd, a bit off, pick up the phone. Whether it's a package or person that seems out of place, we'd love you to let us know, because there's a lot of noise out there these days." She delivers it all with a cold, chilling quality — despite the fact that she’s supposedly looking out for citizens — so watch the video below for added effect. Now, let’s turn to the static images. 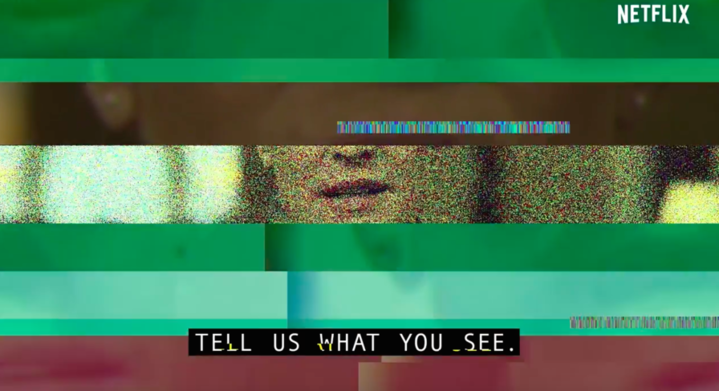 There’s totally a secret message in all of this, but what exactly is it? What is Claire trying to protect Americans from? What are her intentions? Are things about to go even further in the dystopian, Orwellian direction?! 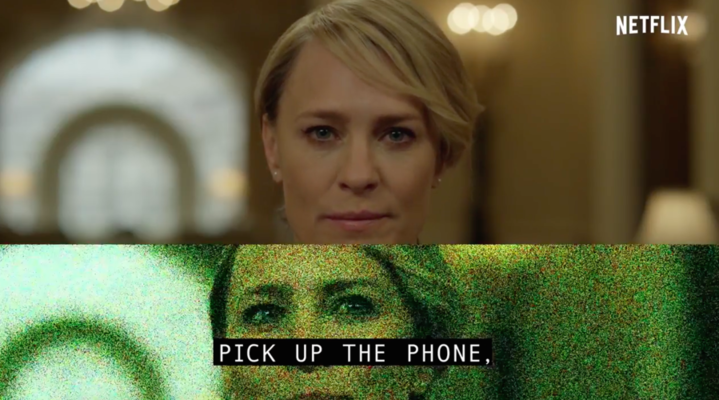 House of Cards returns to Netflix on May 30th and we’ll be counting down the days, because WE. NEED. ANSWERS.